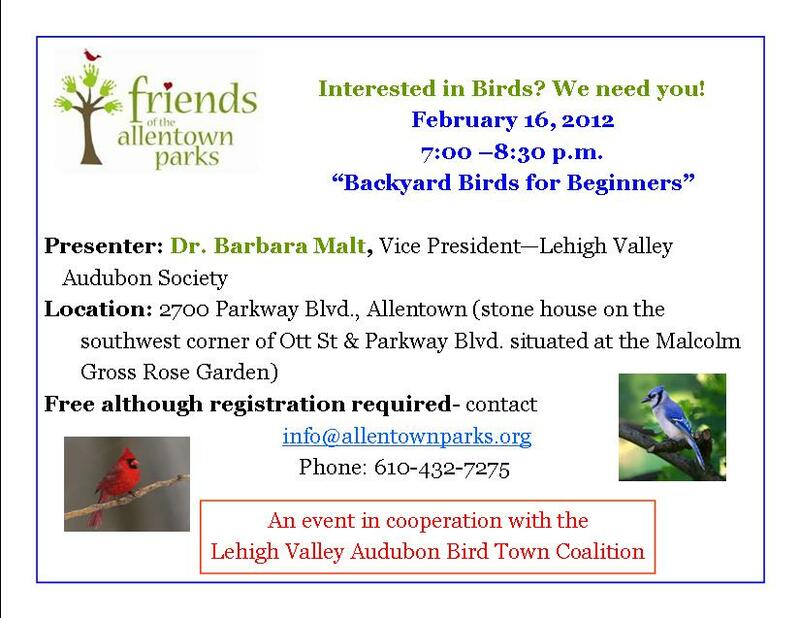 Friends of the Allentown Parks is pleased to work in cooperation with the Lehigh Valley Audubon Bird Town Coalition in implementation of the Bird Town initiative. 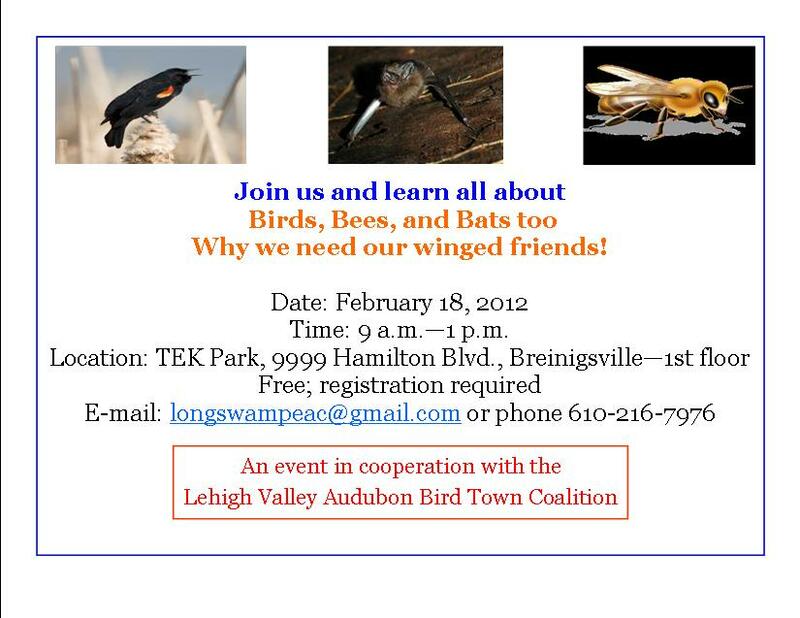 Working with local residents and businesses, Friends in partnership with the Pennsylvania Audubon Society, the Lehigh Valley Audubon Society and others will provide information you need to create conducive habitats. By planting native plants and registering your property with Audubon, valuable information will be gathered about your “bird habitat” and you and your family will become key players in the world of bird conservation! Check this page regularly for informational updates.